Portrait #1: Ahh….. lol. 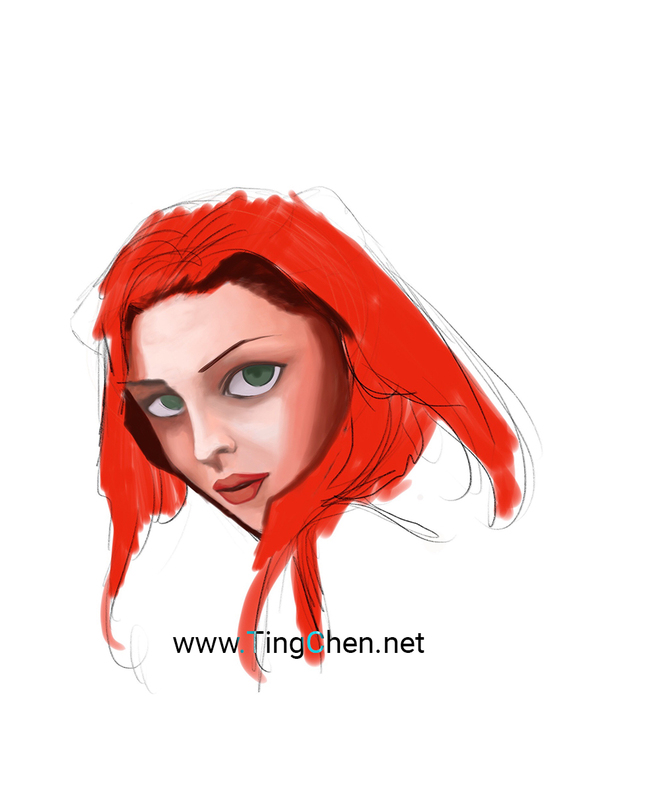 The 1st one was just winging it at trying to paint a face. 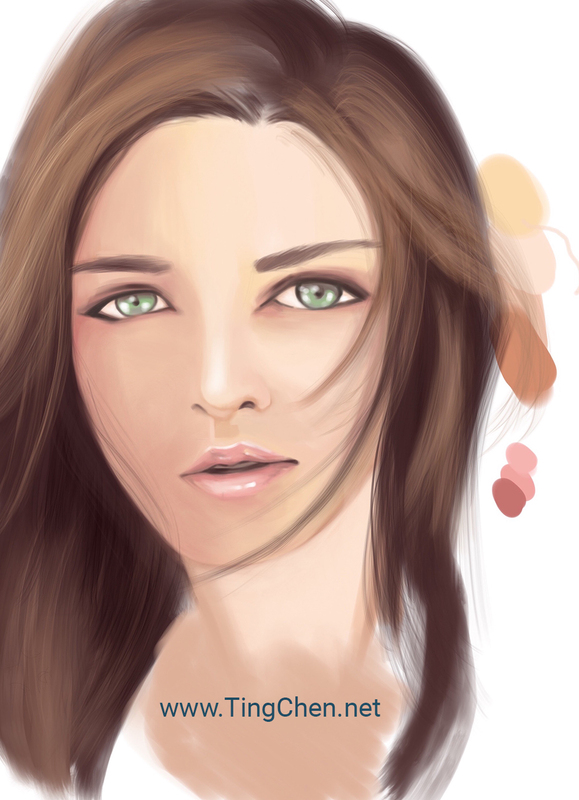 I ended up over-focusing on the eyes. 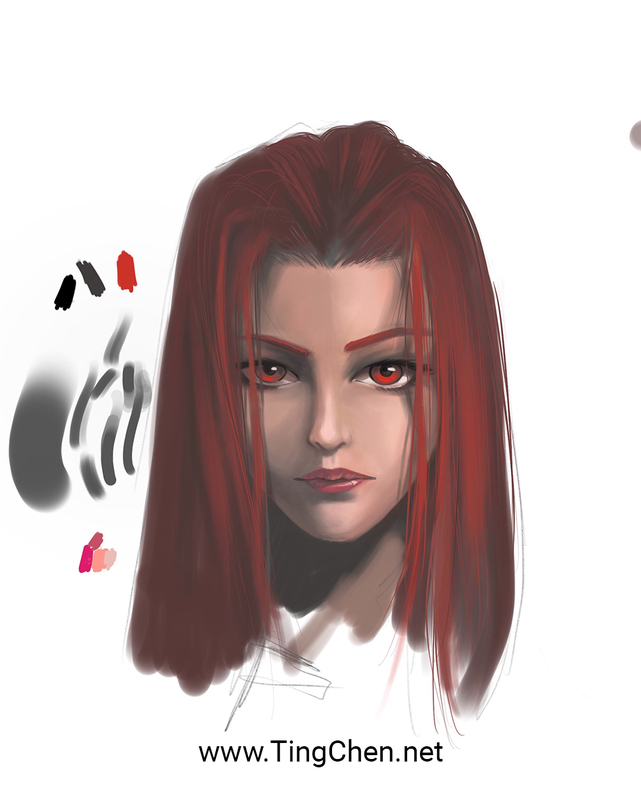 As a result the facial proportions were completely off, so I gave up and decided to try #2. Portrait #2: I started with proportioning the face, but an old habit of mine from my art school days reappeared… when it comes to facial features i have a tendency to “paint on” the components instead of allowing them to be sculpted into the face. Perhaps it’s a remnant of having drawn so much with lined ink! Anyways… I gave up on this midway and moved on. 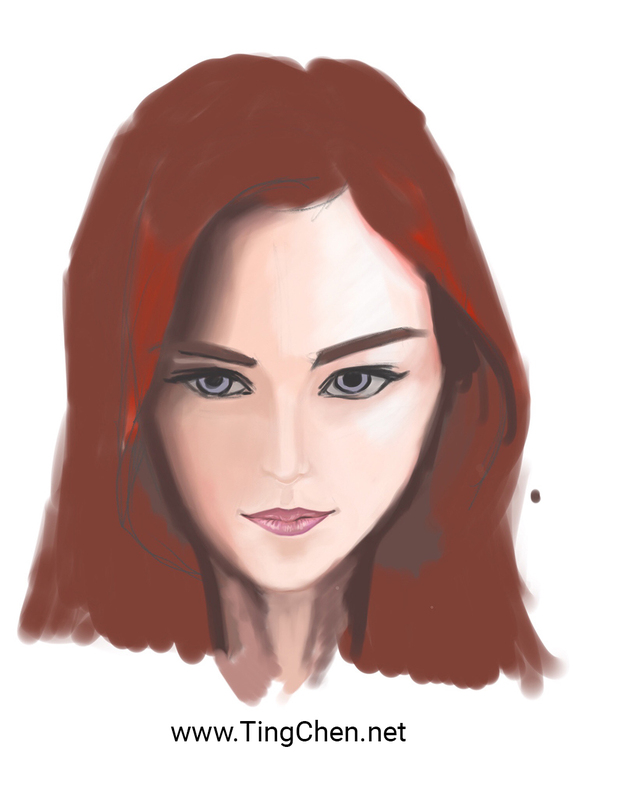 Portrait #3: Attempted to “sculpt” the face in instead of painting the features on top. I think this worked better, but I still struggled with certain components. The shading on here was better, but perhaps I cheated since my reference image was someone’s else’s illustration, not a photo. 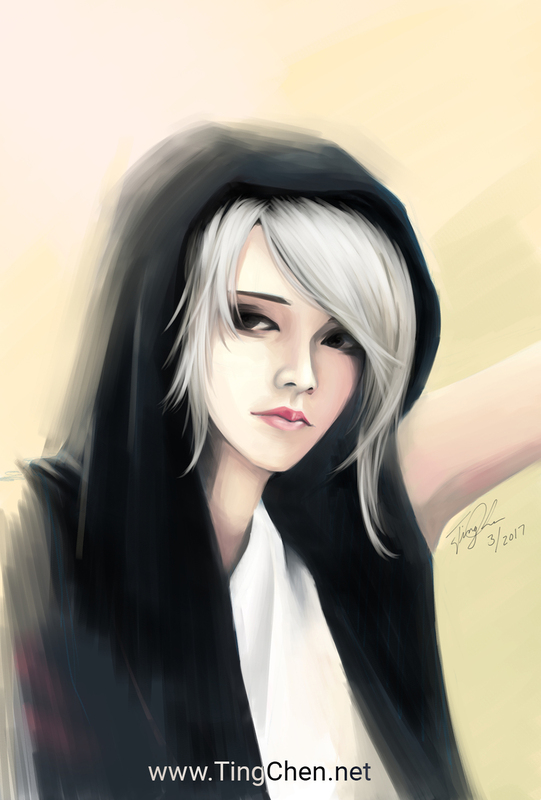 Portrait #4: I took an aside and practiced lips a bit since it felt I was still painting them on overtop. This one worked out better. Portrait #5: I switched tools! 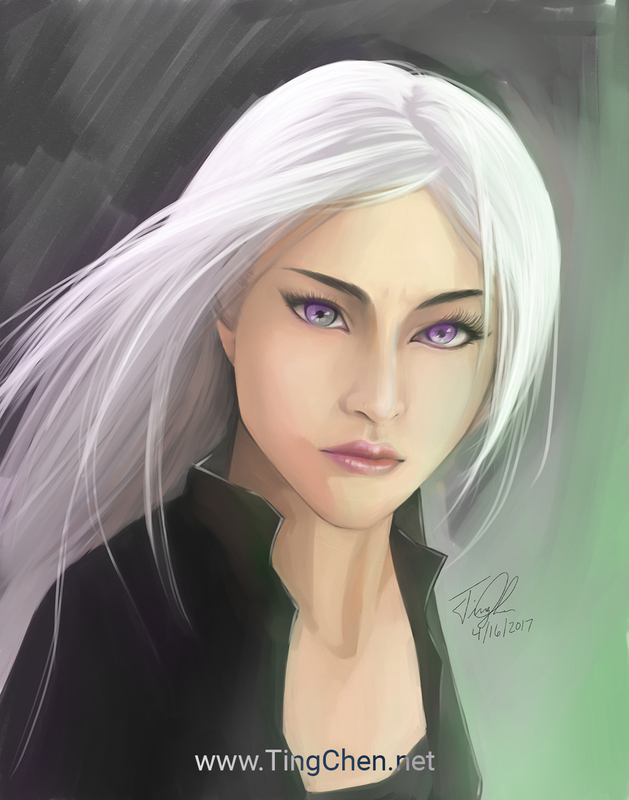 This one was done on my computer instead of my iPad and the change in tools made a huge difference, especially for coloring/blending. 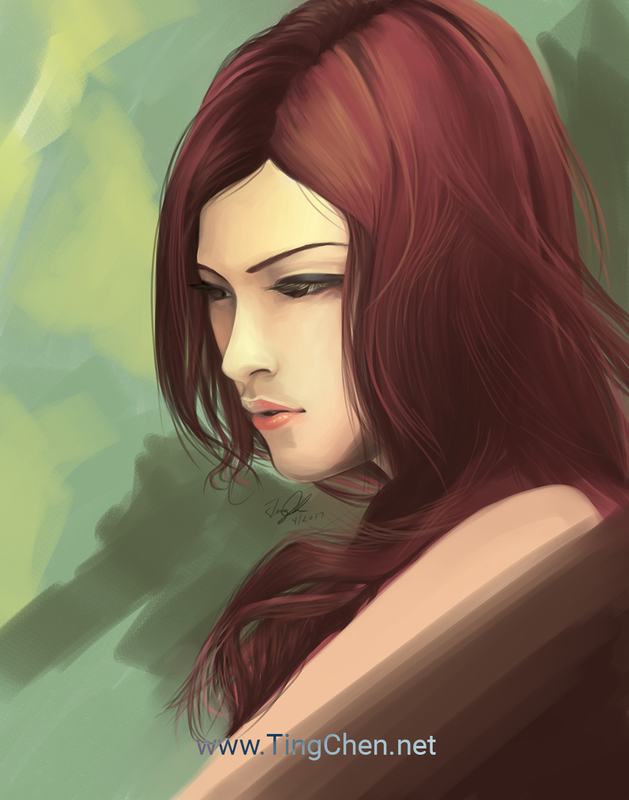 Portrait #6: I started deviating a bit from my reference image and made this look more like my OC Sophiel. I thought it turned out not too shabby. Portrait #7: I think my best one so far… I especially liked the warm tones and the depth in her face from the left to the right. Portrait #8: I started getting in to more recognizeable portraits. 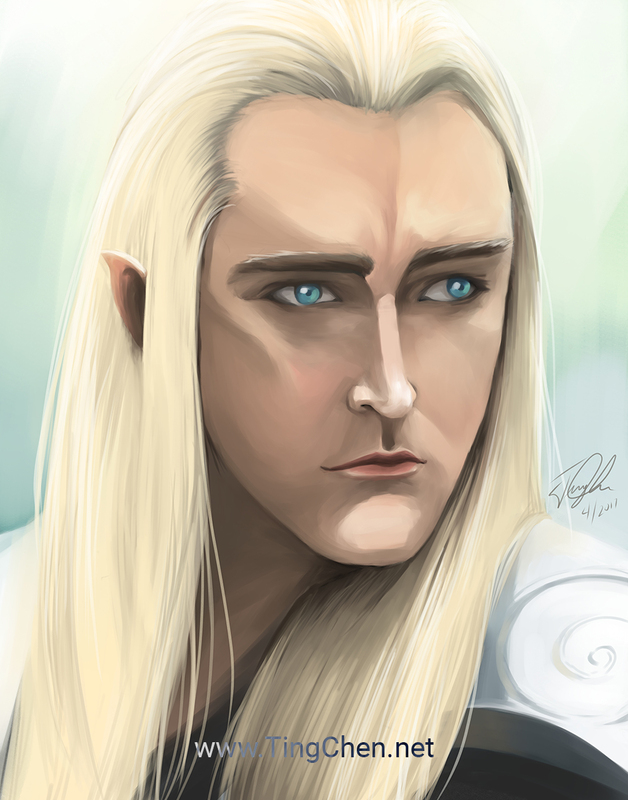 Thranduil from the Hobbit movies. His semi-rugged face was a challenge after painting so many smooth-faced women. But I really enjoyed playing w/ the colors to bring out the highlights and shadows. Portrait #9: And… then several months passed before I picked up the digital stylus again. Got busy/other priorities/etc. I think you can see some of that progress disappear a bit. Like getting back on a bike again… those first few times it’s a bit wobbly, but you get the general idea of how to do it. 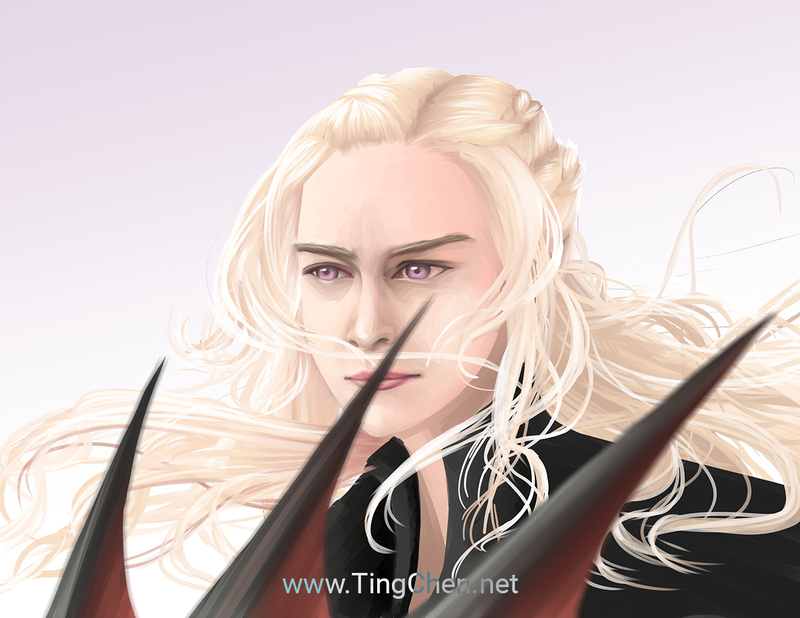 Btw… this is Daenerys Stormborn of Game of Thrones (it was that time of year). 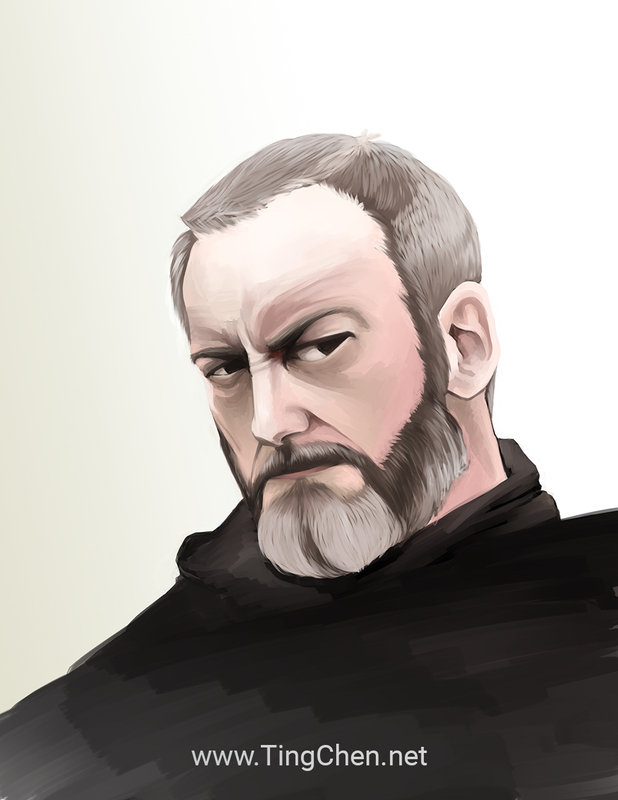 Portrait #10: More improvements with Ser Davos Seaworth, though for some reason I favored a peachy pink for his skin. : Hmm. Study how other do it. After the first few failed attempts at drawing eyes/noses/mouths in a way that rendered as imagined, I went online to find tutorials for these things. It was incredibly helpful. Tools really make a difference! Not that you can’t draw well with lower-quality tools and not that more expensive tools means better artwork. It just means, at least for me, that the tool in your hand can really define how the image renders out. I did another study/skill improvement exercise rendering ebi sushi in different art styles and found that whatever my intention was, the type of tool selected really defined how I ended up using it. For the 1st 4 images I used ProCreate on an iPad Pro. And for the final 6 I used Clip Studio on a Cintiq 13HD. To me, the resulting painting was like night and day. Partially b/c of the physical feeling of pen-to-screen of the Cintiq 13HD. Partially b/c of the easier zoom in/out aspect of my computer setup (had a 2nd monitor with the full image on a mirrored canvas so I could just look up and see how the piece as a whole was doing). Partially because of the easier color-picker and eyedrop shortcuts of the software/tablet. And partially b/c of the color blending of the tools in Clip Studio. In the end, Clip Studio + Cintiq 13HD was a more natural-feeling setup for me to use whereas I felt like I had to struggle a lot with the ProCreate + iPad combo. Consistency is key! Just like any other skill, it can become rusty if you don’t use it over time. But just like riding a bike, you CAN pick it up again. It will just take time and probably a few practice runs. Next Next post: Inktober Time!